Looking at your electric bill can be a daunting task. There are many factors that can affect your bill’s total — factors that are only amplified in large commercial and industrial sites. One such consideration is peak demand. 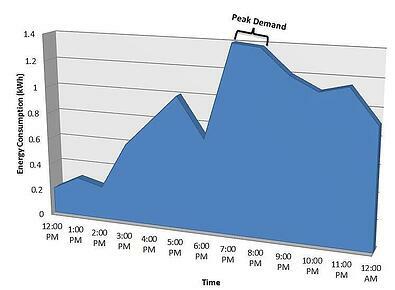 Peak demand is the largest instance of power usage in a given time frame, typically a rolling fifteen minute window. Measured in kilowatts (kW), peak demand is different than consumption. Total consumption is measured in kilowatt hours (kWh) over a given period of time (e.g. monthly, quarterly, etc.). 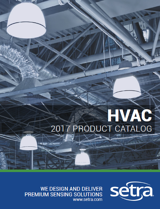 Peak demand can represent a spike in power usage, such as turning on all the lights in a facility or starting up an electric motor in a factory. Your utility company must be able to provide you with that amount of power, but the infrastructure necessary to supply that power at a moment’s notice comes at a cost. In some areas, utilities have a “ratchet clause” which means they can bill you for your highest one-time peak demand over the entire billing cycle. Because of this, facility engineers are now incentivized to cut down their building’s energy bills and conserve energy. Peak demand charges can account for 30-70% of your electric bill. Rates for peak demand vary greatly and are determined by a number of factors such as region, utility provider, tariffs, and pricing structures. Across the United States, peak demand charges are one of the most expensive parts of the total utility bill. One of the way facility engineers combat this is by load shedding power within their facilities. By monitoring and automating power loads, these engineers can ramp up power-intensive equipment as opposed to turning them all on at the beginning of a shift. Once a counterintuitive concept, many building operators are now finding that they can actually save money on their electric bill by leaving equipment up and running. CLICK HERE to learn about power factor and how it affects your power bill.